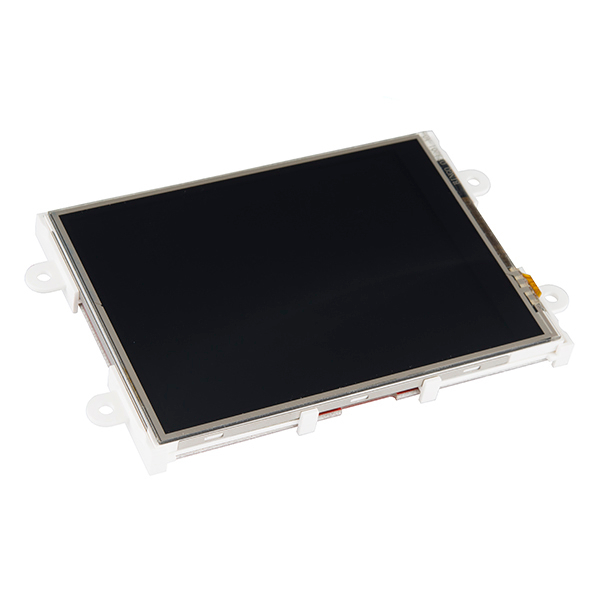 Description: The µLCD-32PTU is a compact Intelligent Display Module from 4D Systems packed with plenty of features, ready to become the GUI for your project, and capable of being an interface controller for a number of applications. The µLCD-32PTU is a combination of a 3.2” (240x320) LCD Screen, audio amplifier and speaker, micro-SD card connector, Lithium Polymer (LiPo) battery support, along with a group of general purpose input/output pins (GPIO’s), including I2C and serial COMMS. Note: The module can be switched to a “SGC” by changing the firmware. ****It’s been brought to our attention that trying to program the 4D screens using an FTDI breakout can damage the driver. You’ll need to use the FT232RQ USB to Serial which you can find in the related items below.